Mikey requested this for dessert tonight. Well, he's actually been requesting it for awhile. I just couldn't find a recipe I was happy with so decided to modify my peach cobbler recipe to work with apples. Whisk all ingredients together. The mixture will be thin. Melt 1/4 cup butter in an 8 inch square pan. I used a 16 ounce jar of apple pie filling that I canned earlier this year and put it in a bowl. I added 1/2 cup of water to thin it out. For me this eliminated the steps of adding spices and cornstarch. I would use the same 1/2 cup water with store bought apple pie filling also. This is before the water thinned it out. Spoon the fruit over the batter. 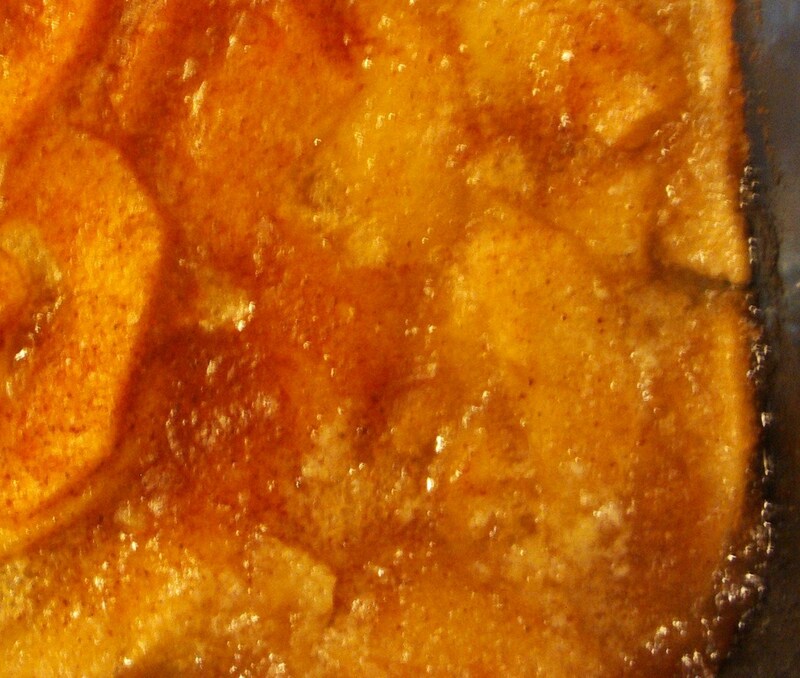 Sprinkle about a teaspoon of cinnamon sugar mix over the fruit. The baking powder is what makes the crust rise around the fruit. I ended up with a crust on the bottom that is very chewy. The flavor of the cobbler is wonderful though.